Purdue University Press, 9781557535689, 348pp. 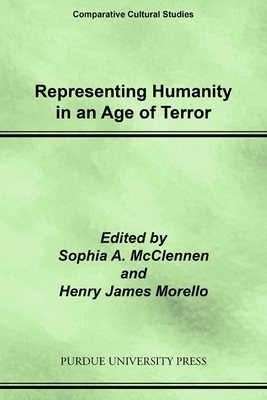 Written in the context of critical dialogues about the war on terror and the global crisis in human rights violations, authors of this collected volume discuss aspects of terror with regard to human rights events across the globe, but especially in the United States, Latin America, and Europe. Their discussion and reflection demonstrate that the need to question continuously and to engage in permanent critique does not contradict the need to seek answers, to advocate social change, and to intervene critically. With contributions by scholars, activists, and artists, the articles collected here offer strategies for intervening critically in debates about the connections between terror and human rights as they are taking place across contemporary society. The work presented in the volume is intended for scholars, as well as undergraduate and graduate students in the fields of the humanities and social sciences, including political science, sociology, history, literary study, cultural studies, and cultural anthropology. Sophia A. McClennen teaches comparative literature, Spanish, and women's studies at Penn State University. She is the author of, among many other articles and books, The Dialectics of Exile: Nation, Time, Language and Space in Hispanic Literatures (Purdue UP, 2004) and Ariel Dorfman: An Aesthetics of Hope (Duke UP, 2009). Her PhD in Spanish and Latin American literature is from Duke University. Henry James Morello teaches comparative literature, Spanish, and film at Penn State University. His research interests include theatre and film from Latin America and Spain, posttraumatic culture, and comparative cultural studies. He has published on the uses of the Internet by the Zapatistas in Chiapas. His PhD in Hispanic studies is from the University of Illinois.